Fallon returns to Ariboslia to save lives. But the creatures she wants to save want her dead. The long-awaited day has come, Fallon’s eighteenth birthday. Her chance to return to Ariboslia and aid her friends in the battle against vampire-like creatures—the fasgadair. This time, she knows what she’s up against. This time, she’s prepared. Unlike last time, Fallon knows who her friends are. She knows her enemy. She knows her abilities and what her blood can do—redeem fasgadair. But how can she save a few when thousands want to destroy her? Shortly after Fallon’s return, fasgadair overrun the last refuge and push survivors across the sea to a land from which none has ever returned. There they meet a hostile race. With enemies squeezing in on all sides, even infiltrating Fallon’s mind, she struggles to continue her quest. But if she fails to find her way back, the fasgadair will rule Ariboslia with no hope of redemption … and Fallon and her friends will die. 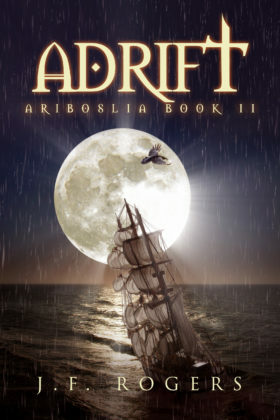 Book 2 of the Ariboslia series.